A limited number of seats are available online by clicking Buy Tickets on this page. Friday 22nd May, Saturday 23rd May, Friday 29th May and Saturday 30th May. Tickets are $40 per person and include a two course meal. Meal service commences from 6:30pm, with the performance beginning at 7:30pm. Book now to avoid disappointment! 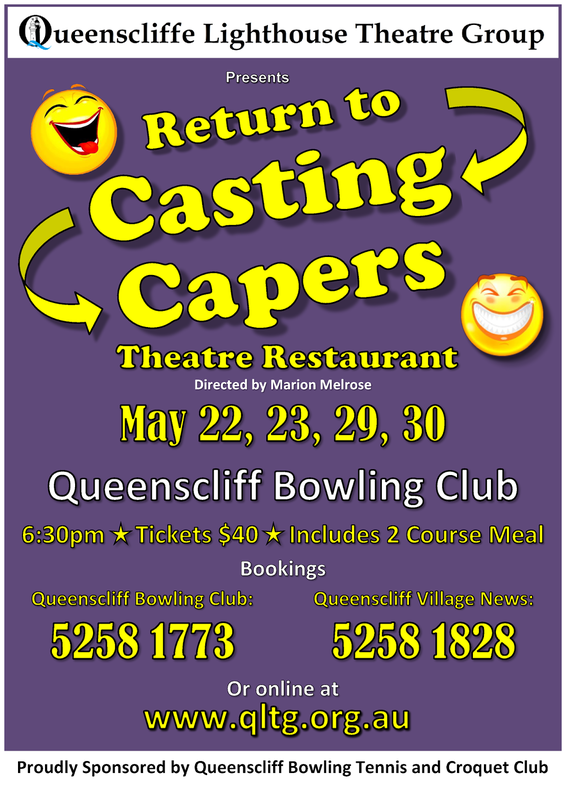 an encore performance of our popular Theatre Restaurant at the Queenscliff Bowling Club. 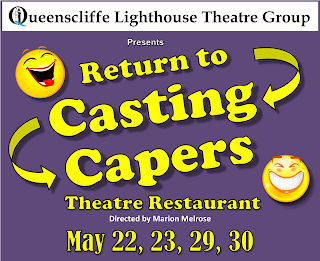 This entertaining night out is directed by Marion Melrose, and is limited to four performances only! Tickets are $40 per person and include a two course meal. Meal service commences from 6:30pm, with the performance beginning at 7:30pm. Don't miss out on this amusing and entertaining show. 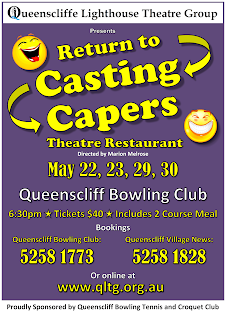 Click on Buy Tickets to book your tickets now, or tickets can be purchased in person from Queenscliff Bowling Club - Ph. 5258 1773, and Queenscliff Village News - Ph 5258 1828.